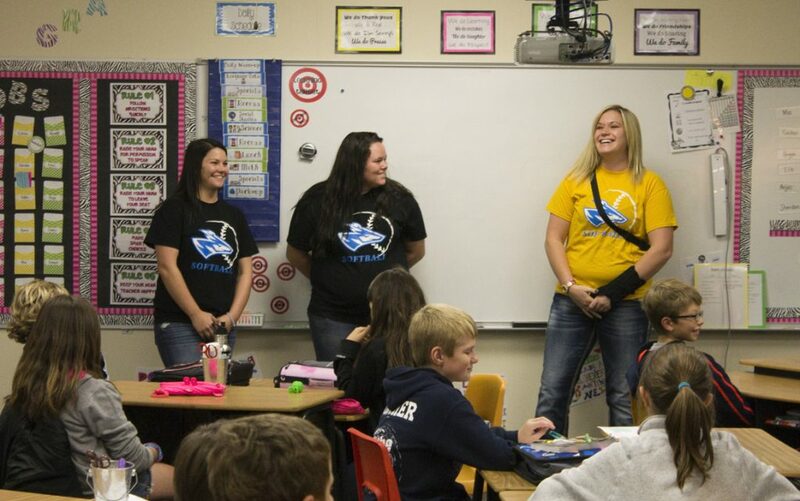 UNK softball players talk to students at Northeast Elementary about why they choose to stay drug free. During Red Ribbon Week, Positive Pressure and Kearney/Holdredge Elks Lodge #984 visited Northeast, Glenwood, Amherst, Emerson, Gibbon, and Shelton Elementary schools to give presentations on staying drug-free. 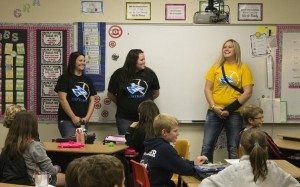 Accompanying them were athletes from the UNK women’s basketball, softball, and soccer teams, men’s track and field, and the UNK Spirit Squad. The Elks also passed out drug-free resources, 40 Developmental Assets handouts, as well as prizes, such as wristbands, posters, treats, and more. Funding for materials provided during Red Ribbon Week came from the Elks National Foundation Promise Grant. 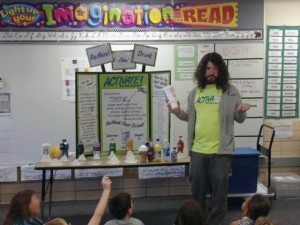 Activate Buffalo County Coordinator Holden Armstrong presents the ReThink Your Drink display to a class at Park Elementary. In October, Activate Buffalo County Coordinator Holden Armstrong visited fourth graders at Park Elementary to give a presentation of the ReThink your Drink display. Students learned about calories, sugar content in popular drinks, how much exercise is needed to burn off calories, when to consume sports drinks, and more. Students particularly enjoyed the interactive element of guessing which drinks had the most sugar and sharing their stories about choosing water over sugary drinks. For more information on ReThink Your Drink, or to request the display board in your school, classroom, or other environment, visit ActivateBuffaloCounty.com/rethink or contact Holden by email. Safe Routes to School Coordinator Kate Hannon teaches a crosswalk safety class. 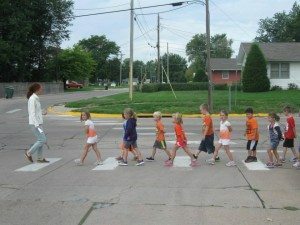 Safe Routes to School Coordinator Kate Hannon has been working with several Buffalo County schools to implement walking programs and provide education on active commuting for students. Learn more about Safe Routes to School by visiting ActivateBuffaloCounty.com/SRTS.